Last year it was reported that the FBI reopened Hillary’s private server investigation after recovering 700,000 related emails from Anthony Weiner’s devices, including a desktop computer and a smartphone, in an independent inquiry involving Weiner’s inappropriate texts to a minor. But, even though it was considered that it would take a long time to go through the data, that proved untrue. 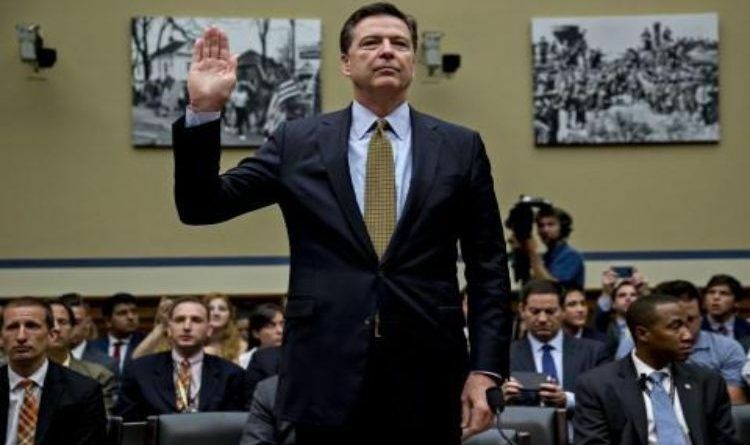 Comey told Congress “thanks to the wizardry of our technology,” the FBI was able to delete the majority of messages as “duplicates” of emails they had already examined. Tireless agents, he claimed, then worked “night after night after night” to scrutinize the remaining material. But, now it was now revealed that Comey LIED TO CONGRESS concerning the Wiener Laptop emails. The FBI only examined 3,000 out of the 700,000 emails found on Weiner’s laptop, even though they closed the investigation after a few days claiming they read through all the emails. Other key parts of the investigation remained open when the embattled director announced to Congress he was buttoning the case back up for good just ahead of Election Day. And why has Jeff Sessions not had this investigated??? DOJ was not political according to him! This is yet another proof that Sessions should be fired. It’s not incompetence, it’s a coup and refuses to act on what are obvious crimes with evidence, political or not.